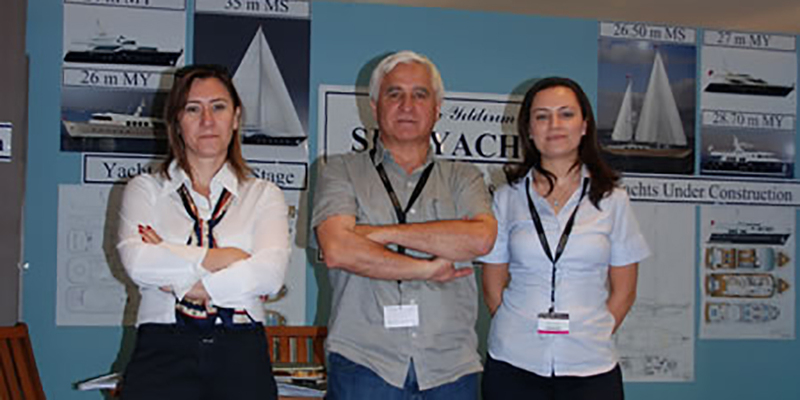 “Ses Yachts” has attended to the Cannes Boat Show on 9-14 September at Riviera Stands. The 20 m fiberglass yacht , built turnkey by Ses Yachsts and delivered to Italy (Gianetti Star) on May’09, is also showed at the port. Although, it was the first participation of Ses Yachts in Cannes Boat Show, and well known global economical conditions, 20 m and 23 m two MY order has been signed during the boat show.